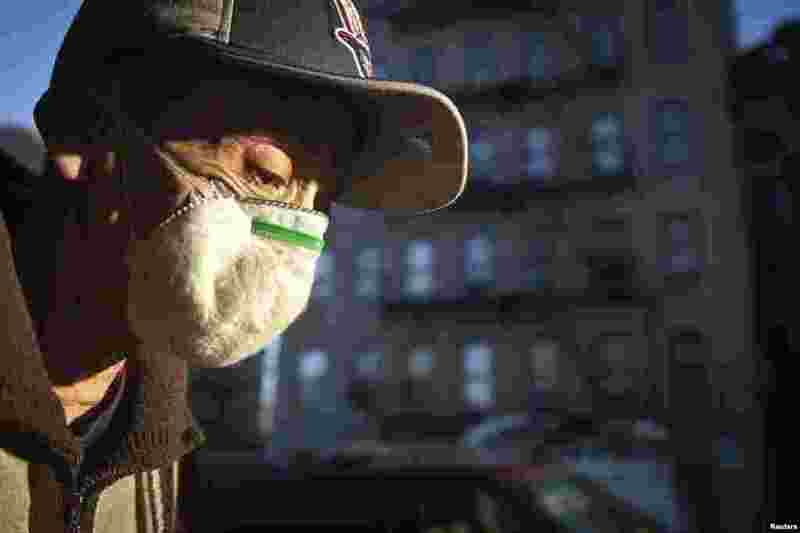 1 A man wearing a respirator walks past an apartment building where a child was taken the the hospital to be tested for Ebola in the Bronx, New York, Oct. 27, 2014. 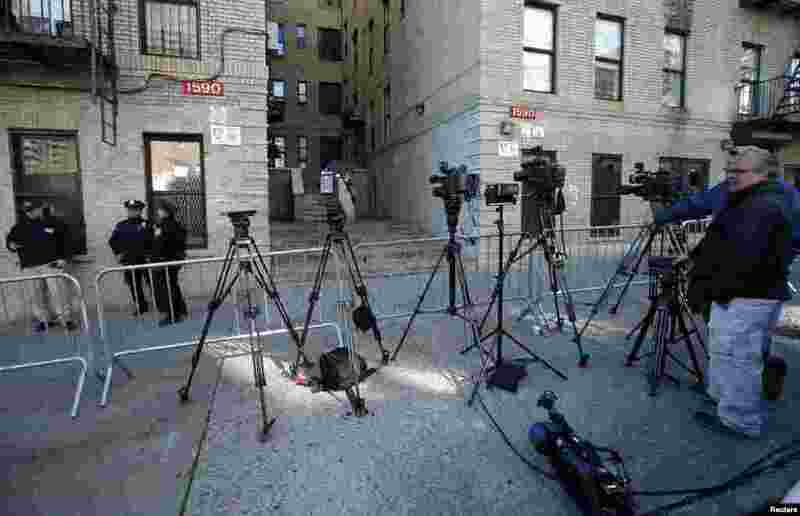 2 Media and police stand outside a Bronx, New York apartment building from where a 5-year-old boy who arrived from Guinea was taken to Bellevue Hospital in New York to be tested for the Ebola virus, Oct. 27, 2014. 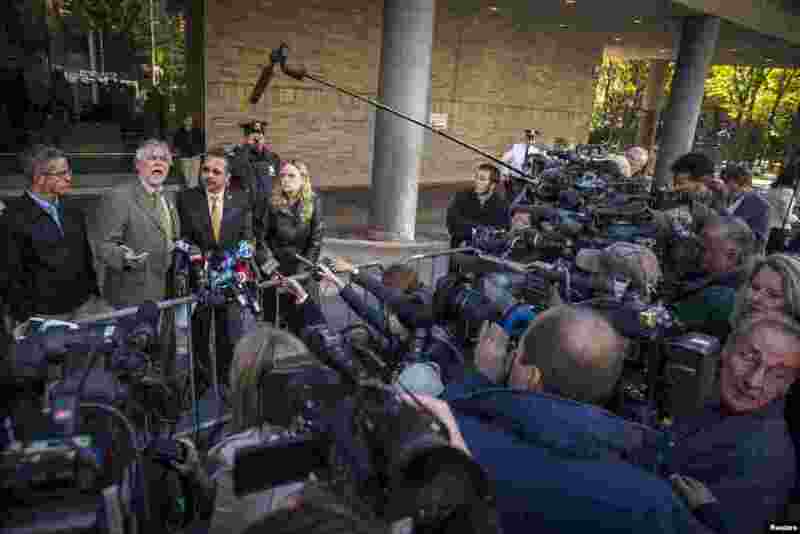 3 Housing Works CEO Charles King speaks out against the current quarantine rules, put into effect in New York and New Jersey, outside of Bellevue Hospital in New York, Oct. 27, 2014. 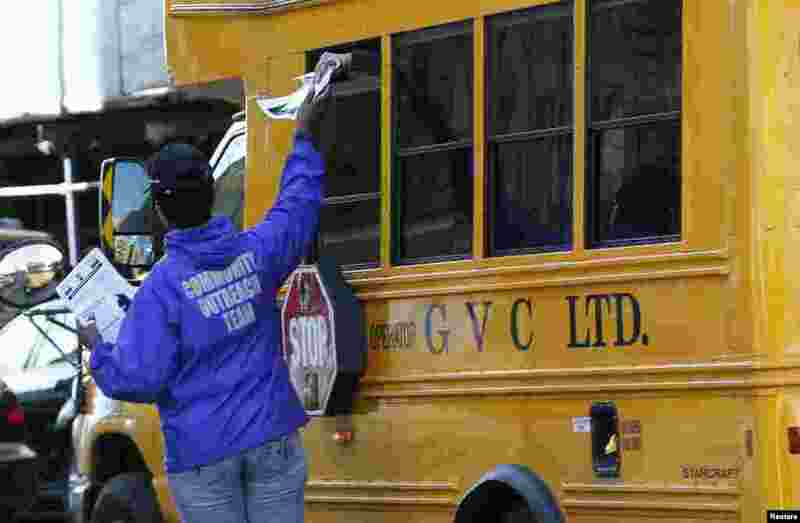 4 A New York City Health department official hands out information on the Ebola virus to people riding on a school bus in the Bronx, New York, Oct. 27, 2014.